How well do you know the people working with you? Even if everything appears to be in order on the surface, there could be attachments on their private accounts or they could have restricted accounts. Being unaware of such circumstances puts you at financial risk. With Dun & Bradstreet’s Consumer Credit App, you can access information about the finances of a private person, subject to the Consumer Credit Law. This law does allow a high level of accessibility to information about individuals’ compliance with their financial obligations. The information in the Consumer Credit Report is gathered from a variety of bank and state sources in order to reduce any ambiguity about an individual. Using it, you can minimize any uncertainty about a potential business partner and avoid entering into any ill-advised business transactions. Thank you for registering to dunsguide. All Rights Reserved 2018 © Dun & Bradstreet Israel Ltd. 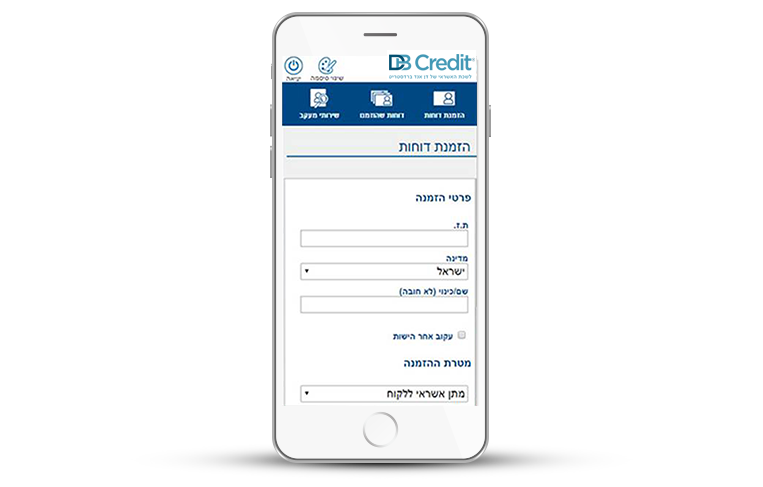 Interested in Consumer Credit App ?